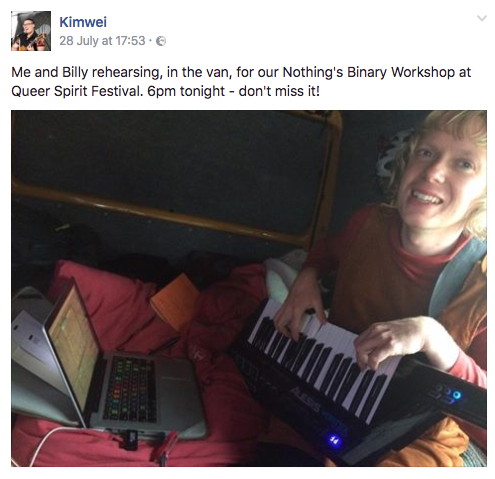 Billy and I will be doing a workshop at Queer Spirit Festival on July 28th. In the week beginning August 7th I will be speaking about gender on BBC Radio Devon’s Pause For Thought… watch this space. In the meantime, see my previous Pause’s For Thought here. 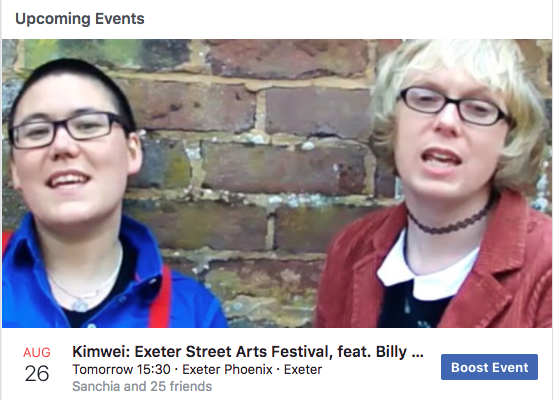 Billy Bottle and I recorded this original song of mine, to co-incide with Exeter Pride (13.05.2017). It’s about being non-binary, but also celebrating LGTBQ+ as a whole. This goes out to anyone who seeks to be seen for who they truly are. When we accept each other, we love each other, and when we love each other we change the world. We’ve been overwhelmed by the responses to this video on Facebook (6k views and 100 shares in less than a week) and thrilled that the message has been so deeply received. We believe that expanding beyond the binary notion of gender is not just relevant to those who identify as trans, but to everyone, because we are all affected by the expectations of a society that sees gender in binary. Now it’s time to take the phrase “Nothing’s Binary” even further. 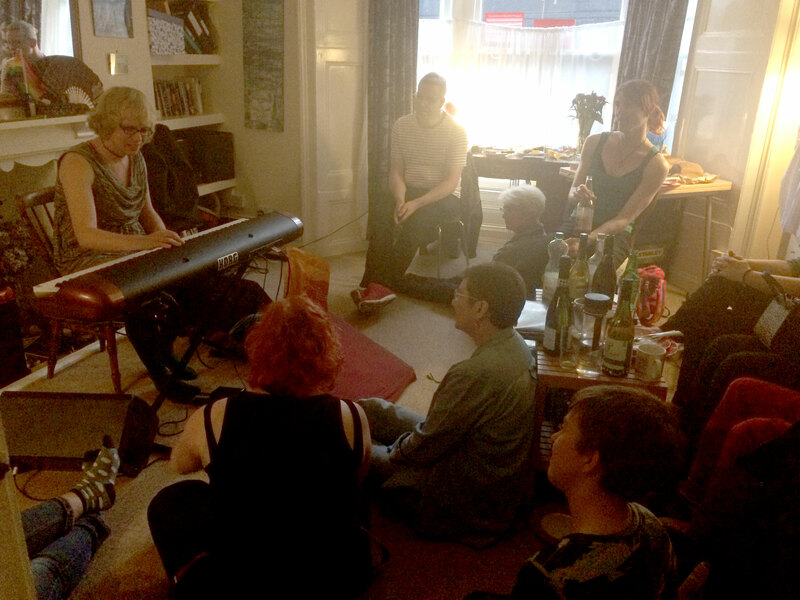 We want to put on events, entitled “Nothing’s Binary”, which are celebrations of the full gender spectrum. 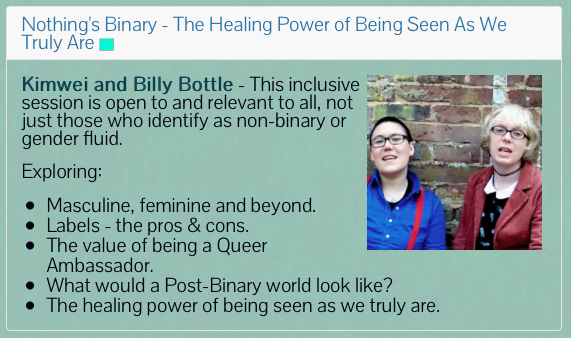 We envisage a Post-Binary world in which anyone can freely inhabit any part of that spectrum and be seen, accepted and loved. Please get in touch if you’d like to be involved. THE SONG: Click thru to download for FREE!